Boston swept the 2-game series in China. 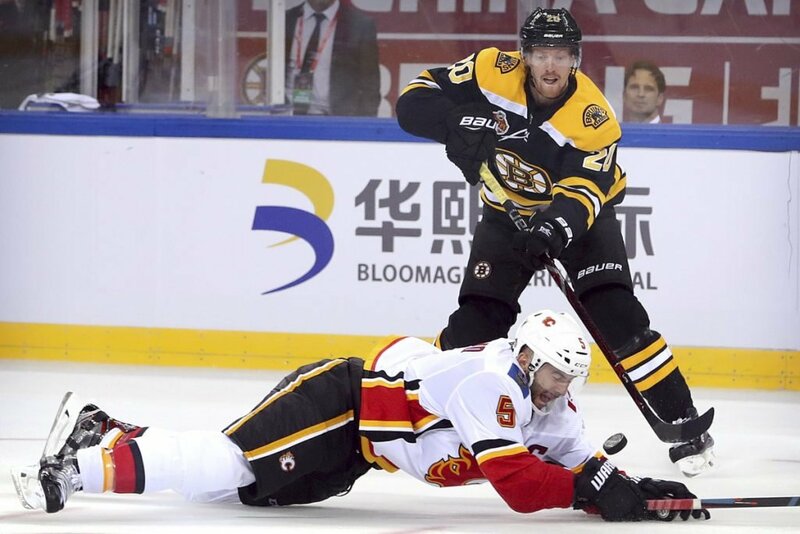 Jake DeBrusk scored two goals, including the game-winner in the third period, to lead the Boston Bruins to a 3-1 win over the Calgary Flames on Wednesday in Beijing, China. Boston swept the O.R.G. NHL China Games. The Bruins won the exhibition season opener 4-3 in a shootout on Saturday in Shenzhen, China. DeBrusk opened the scoring with 1:51 left in the first. Calgary’s Sean Monahan tied the game with a goal after he exited the penalty box with 2.8 seconds left in the second period. DeBrusk’s goal 5:27 into the third made it 2-1. Kevan Miller’s empty netter with 1:15 left ended the scoring. Tuukka Rask played the entire game in goal for Boston and made 22 saves. Mike Smith made 16 saves for Calgary.